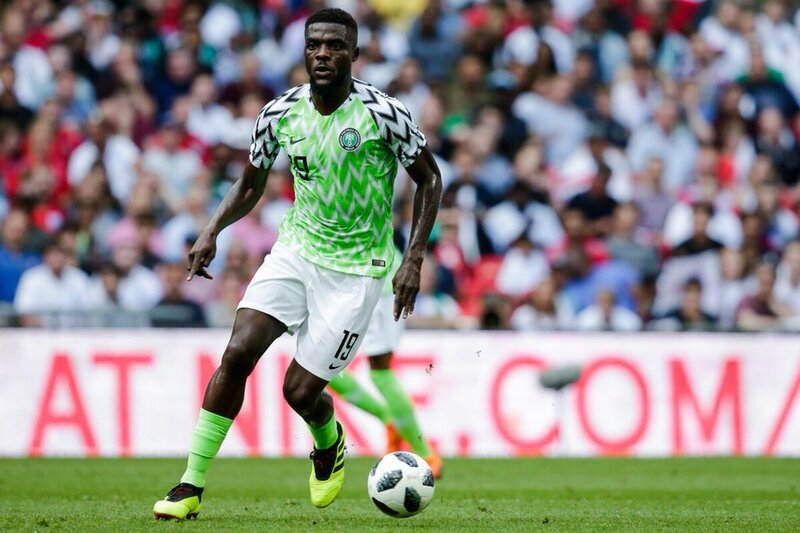 Super Eagles midfielder, John Ogu has expressed his hopes in the men’s senior national football team of Nigeria to become a top team in world football with the pool of players available for selection. The Hapoel Be’er Sheva star, who began his senior national team career in 2013 while at Académica in Portugal, stated that the quality he has seen among the players available for selection prove that the Super Eagles are on their way to become not just the top in Africa, but the world over. Among the youngsters are current Villareal wunderkid Samuel Chukwueze, Levante forward Moses Simon, Leicester City’s Kelechi Iheanacho, Semi Ajayi who defends for Rotherham United, Arsenal’s Alex Iwobi, Henry Onyekuru who plays for Galatasaray on loan from Everton, Chelsea loanee Ola Aina who is having an impressive season with Torino and Tyronne Ebuehi who plays for SL Benfica. “I have played with these boys, I know how fast they are, the quality they bring to the team and the passion they have for winning. Ogu, who currently plays in the Isreali Premier League, debuted for the Eagles in March 2013 – a FIFA World Cup qualifying match against Kenya which ended 1-1 – when he came on as a substitute to replace Victor Moses. The 30-year-old has been one of Gernot Rohr’s constant call up since he took over as the Technical Adviser of the three-time African champions, and has 4 goals from 23 appearances for Nigeria.